It is hard to believe this is the 50th anniversary of the Super Bowl. It amazes me the number of people who never watch NFL football that are totally tuned in to the Super Bowl every year! Did you know that the sales of televisions are higher the week of the Super Bowl than any other time of the year? I think the premiere of some very interesting commercials has a lot to do with it! I know I love watching the Super Bowl, and this year promises to be an amazing event! Now, at our house the food that is served during the Super Bowl is just as important as the game. For those of us who are not attending the game, we have to tailgate in our living room gathered around the TV. We have turned football games into foodie events and serve wonderful snacks that are scrumptious to eat during the game. Most of these foods we only serve during games, as we deem them football game dishes. After all, we wouldn’t serve chips and dip during Downton Abbey would we? Heavens no! 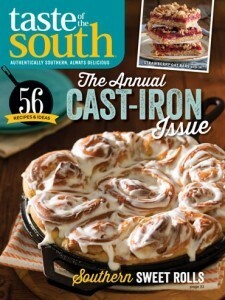 At our magazine Taste of the South, our chef has prepared Soup-er-Bowl-Sunday recipes that I know you will love. Have a wonderful day cheering, dining, and enjoying time with family and friends. Happy anniversary Super Bowl! 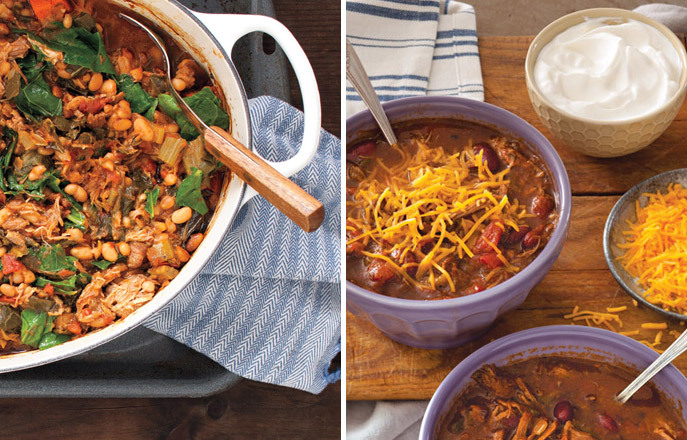 What’s on your Super Bowl Sunday menu? Phyllis and Cathy…your recipes and menus sound absolutely delicious! I’m going to have to revamp my Super Bowl menu up a few notches for next year! I kind of do the same things year after year for sentimental reasons. My husband played in the NFL for eleven years…way back…in Archie Manning’s days so we too are huge Manning fans. We also love Carolina! We were very fortunate to be with the Baltimore Colts and as a rookie, my husband played with John Unitas and many outstanding players throughout his career. The wives were fabulous and took a young New Yorker, me, who’s culinary talents were zero, under their wings! I learned so much from them and many came from generations of wonderful southern women who’s recipes I still dream of! We were all a big close knit family and no matter how far away we are, we’re in each others’ hearts forever. Our Super Bowl menu starts with great recipes from the wives and players from back then including a hot crab dip from Johnny Unitas that’s everyone’s favorite. My wonderful mother in law passed away recently so in honor of her, we’re having her famous lasagna and my husband’s favorite chocolate mousse cake. The recipe said it served ten but in reality at our house, it only served one tired, sore and hungry running back after a grueling game day! Enjoy the Super Bowl everyone!!! Love NFL and all the tail gating food, of which we do right in our home! Usually just me and my husband! Party of two! But we still have fun and have several things to eat and of course with decorations and favors! We just finished smoking hot wings, hot links, and sweet/smokey salmon. Tomorrow I will fix bacon wrapped bites of pork tenderloin. Guacamole and chips! We freeze what we cant eat and save for the Daytona 500! Goodness me, Phyllis, all of those recipes sound absolutely delicious!! You and your staff have given us a hard decision – old favorites or trying what may become a new favorite! Hmmm! What a nice decision with which to be faced!! You are absolutely right Phyllis. I rarely watch pro football until the big day. The food and celebration is a key ingredient. And those of us living in Carolina are especially excited. This is a difficult one for me as I love the entire Manning family so I am really pulling for Peyton. On the other hand if the Broncos can’t bring it home, I will be so happy that Carolina wins. A great place to be as a fan. Love Taste of the South. I really enjoyed Brian’s video of Charleston, WV. There are so many unique towns with their own unique stories. Happy Super Bowl Sunday!